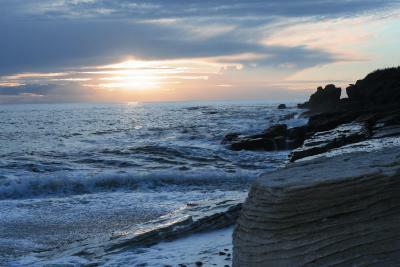 Lock in a great price for Punakaiki Resort – rated 8.2 by recent guests! The room location was wonderful, but not all rooms have such a great sea view. We were lucky with the room allocation. The staff were polite both in the reception and restaurant. The restaurant was lovely and food delicious. Although clean and with good facilities, I felt the rooms were a little tired and needed upgrading. The location is fantastic and the meal in the restaurant ( although pricey) was fabulous. The location is beautiful and so close to everything you want to see in the area. We were in the older section and the rooms were spacious. The location at the beach and near Pancake Rocks but not so close to the tourist site that other travelers came to the same beach. The room was very comfortable, and the food at the restaurant was good. Spectacular view. Right on the beachfront. Food at the restaurant was incredible. Loved that the resort dimmed their lighting for the local bird life at night. The resort was lovely, but we only stayed one night, not enough to give a more detailed review. At dark it was the most amazing view of the sky I had ever seen. Beautiful place right on the beach. Requested room with great view and was given it. 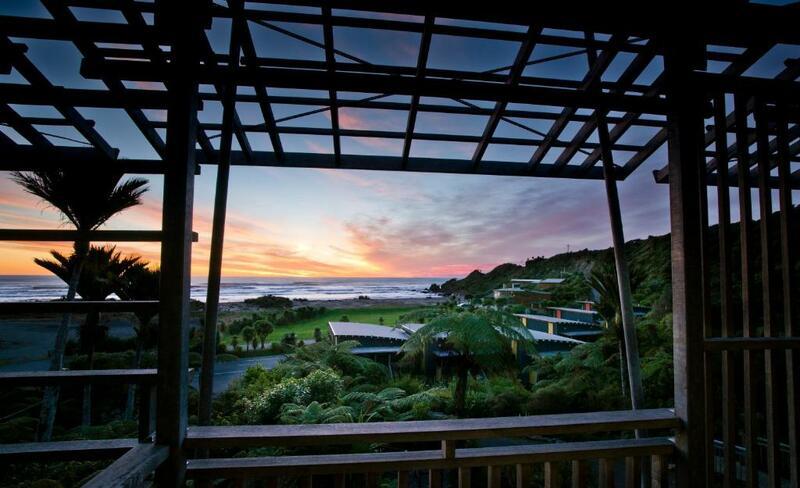 Punakaiki Resort This rating is a reflection of how the property compares to the industry standard when it comes to price, facilities and services available. It's based on a self-evaluation by the property. Use this rating to help choose your stay! 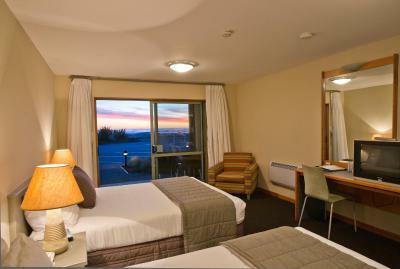 Located in Paparoa National Park just 1,000 feet from the magnificent Pancake Rocks and Blowholes, the beachfront Punakaiki Resort offers comfortable, environmentally friendly accommodations with rainforest and ocean views. Guests receive 1-hour free WiFi during their stay. 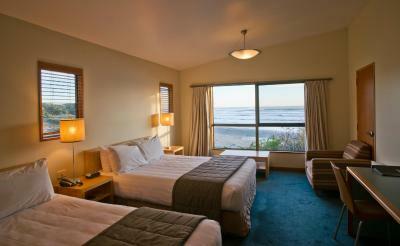 Rooms at Resort Punakaiki are decorated in warm colors and feature large windows. Each includes a tea/coffee maker and a refrigerator. Guests can enjoy watching satellite TV. Greymouth is about 28 mi from the hotel. Free off-street parking is provided. 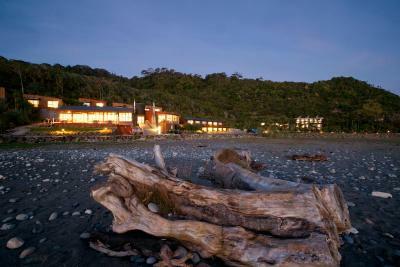 When would you like to stay at Punakaiki Resort? More spacious and luxurious, this suite has been designed and built to have minimal impact on the environment. It features a private balcony offering ocean and rainforest views, kitchenette facilities, a private bathroom with bathrobes and late check-out (11:00). 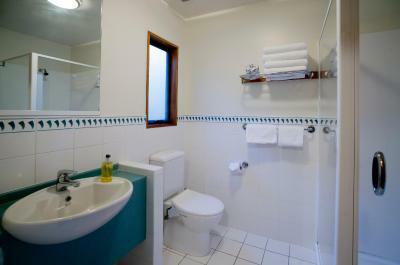 This spacious room features an private bathroom with a garden view. Spacious modern unit with private bathroom and garden views. This twin room has a toaster. 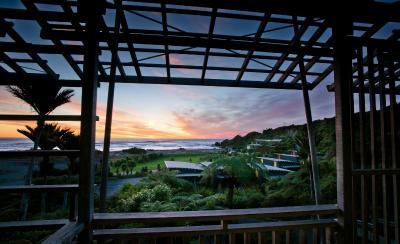 House Rules Punakaiki Resort takes special requests – add in the next step! 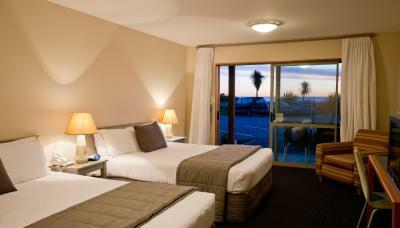 One older child or adult is charged NZD 32 per person per night in an extra bed. Punakaiki Resort accepts these cards and reserves the right to temporarily hold an amount prior to arrival. The TV was basically unwatchable the contrast was broken. Parking was a nightmare and the fully cooked breakfast which was offered to compensate for parking and tv issues turned into continental basic not even toast. Spa pool would be a great addition. The motel was looking rather tired for accommodation in their price range. Even allowing for the fact that it is often covered in a haze of salty sea spray, it needs a refurbishment. Their practice of trying to charge for WiFi after a limited amount of free data is archaic. Everybody on our six week tour of New Zealand is offering free WiFi! As the accommodation was over the road to the reception, checking in wasn't so easy. I didn't like the fact that we had to carry our luggage up or down stairs to get into our rooms. Great staff who were very accommodating! Being in a room next to the road across from the actual resort quite misleading the accommodation. Rooms certainly need work. Our view was right behind reception so we were looking straight out to the round water tank like building.rither side was sea view.Batteries were flat in the TV remote and only 2 towels in the room.Rooms were super hot and the windows dont open up that far. Half of the hotel is situated behund the road. Early in the morning cars passing by just in 10 mtrs from the bed you are sleeping...: "See view" is very relative. We did not enjoy the noise from people moving about in the unit above us. It was impossible not to be disturbed by this as there were units directly above. Location was great and setting is very impressive. so close for walking by the sea and great views. The location and the rooms were excellent. Pretentious restaurant manager. Would not let us sit in restaurant saying it was too busy (3 tables occupied) but we went to bar and received same menu , same food, served by same staff from same kitchen. Pathetic ! 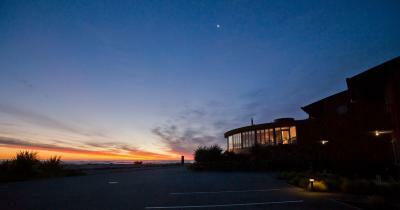 Lovely hotel in fantastic beach location.Loved listening to the waves crashing in all night! Restaurant is pricey. As a European, I take offence at the 1.5% credit card surcharge levied on the total bill. (It’s illegal in Europe, catch up NZ)! This was also the highest surcharge we have faced of any stay. Shame on you Williams hotels group! Beautiful location right on the beach, we had a balcony room with uninterrupted views to the sea. 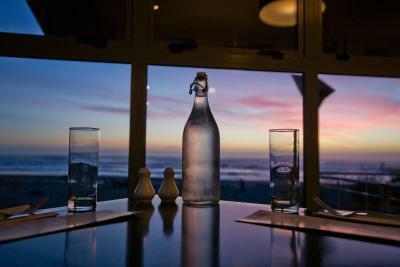 Friendly, helpful staff, we requested a window table in the restaurant and after 5 minutes sitting in the bar area a table had been reset & made available, really good ‘fish of the day’ meal, & attentive service. I paid around $350 for a night. The room was large, and the view fantastic. But for that price I'm expecting something impressive in terms of facilities and hospitality. It's not enough to rely on the location alone to charge a lot. The bathroom had one or two cracked tiles, with cobwebs in the corner of the shower. There was PLYWOOD construction in some areas and just a general feeling of things overused and under-maintained. Nothing was too bad or disappointing - it just wasn't impressive for the price. We found eating difficult in Punakaiki (meat & dairy free) and in the morning the best option was to use the hotel restaurant. Paid $39.50 for x2 continental breakfasts which consists of cheap bread heated on a roller-toaster, and canned fruit. Left feeling ripped off, and not impressed. I'm a local Kiwi, wanted to treat my partner, but left having felt I experienced the global hotel chains ripping off tourists because they'll never return.